The UKSEE is conducted every year by the Uttarakhand Technical University (UTU). UKSEE is a state level entrance exam. After qualifying this exam, a candidate can get admission in both government and private institutions of Uttarakhand. Those who wish to appear in UKSEE 2019 must read this article. We have mentioned all the important details related to Registration, Date, Syllabus and Result of UKSEE 2019. University has not released anything yet regarding UKSEE 2019. The section will be updated once there is an official announcement. In this article, the details related to UKSEE 2019 exam has been provided. In this section, we will provide details regarding the UKSEE 2019 application form. The UKSEE 2019 Registration form will be available online. There is no scope of offline form filling. 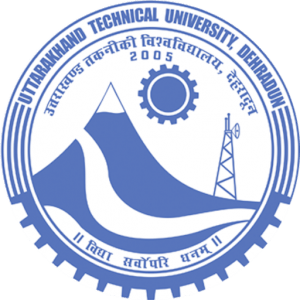 The aspirants can visit the official website of Uttarakhand Technical University (UTU). The registration form for UKSEE 2019 will be uploaded on the website. The students can fill the form online. After filling the registration form, the aspirants must submit all the necessary documents and the registration fee. Ones this is done the registration is complete only after the payment of the fee. The aspirants have to fill different application for different courses. For each registration, the registration fee must be paid. An incomplete registration form will be rejected by the UTU authority. In case of wrong information, the registration will be cancelled. The aspirants must keep a print out copy of the duly filled application form. The general category has to pay Rs. 1500/- per registration. The syllabus of UKSEE 2019 will be different for different courses. The result of UKSEE 2019 will release in the month of June 2019. The result will be uploaded on the official website of the Uttarakhand Technical Universiy. The result will be decided on the basis of merit list released by the university. The result the scorecard of UKSEE 2019 will be uploaded on the official website of UTU. The answer scorecard will consist of marks of students scored in each subject. The answer key will be uploaded on the same website. How can I register for UKSEE Application Form? The hall ticket and admit card for UKSEE are the same. Where can I report mistakes in my UKSEE admit card? We advise you to contact the examination conducting authorities immediately if you find any discrepancies in your UKSEE hall ticket. For any queries regarding UKSEE 2019, please comment below.